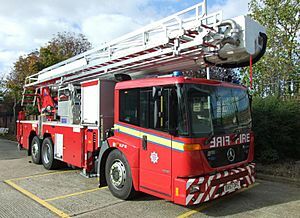 A fire engine is a vehicle that is designed to help in fighting fires by taking firefighters to the scene and giving them access to the fire, water or other equipment. 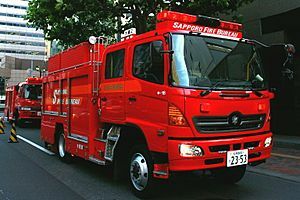 The first modern fire engine was invented in 1905 by Knox Automobile in Springfield, Massachusetts. 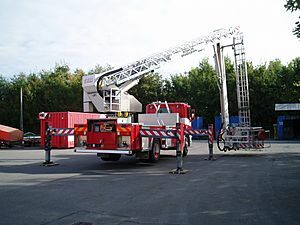 The highest TL in the world is Magirus M68L. with range 68 meters. 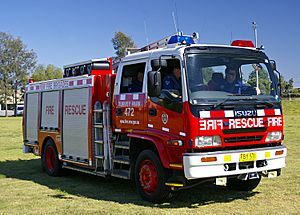 Type 3 fire engine belonging to the Santa Barbara County Fire Department. 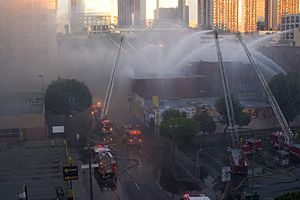 Fire departments that serve areas along the wildland–urban interface are faced with unique challenges that departments based in larger cities or strictly rural areas do not need to worry about. 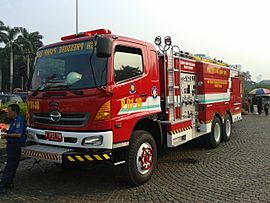 Departments in these areas often elect to use a type of fire engine commonly referred to as a wildland-urban interface engine or simply interface engines. 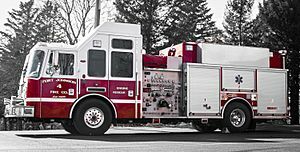 While technically considered a wildland fire engine by many, these maintain the traditional look and feel of a standard engine. Fire engine Facts for Kids. Kiddle Encyclopedia.